Laurel is one of the most creative junkers I know. And she gets how to repurpose. In this case, she had a lonely bench in front of a window and got a brainstorm. 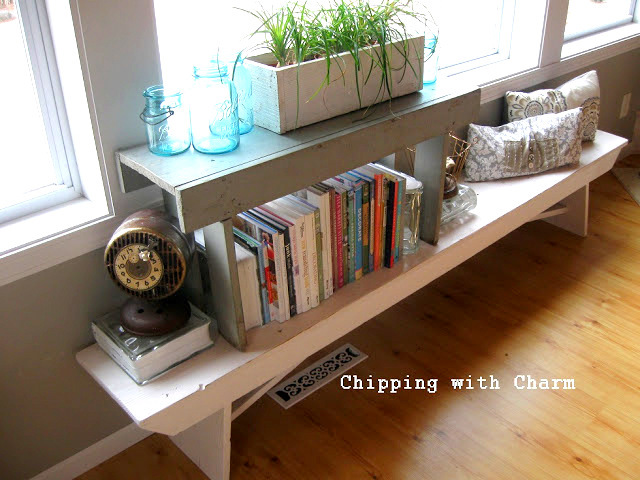 She simply stacked another bench on top and created a bookshelf, plant stand AND window seat. Ok, and display case for more cool junk. She also honed in on a little trick I do myself. 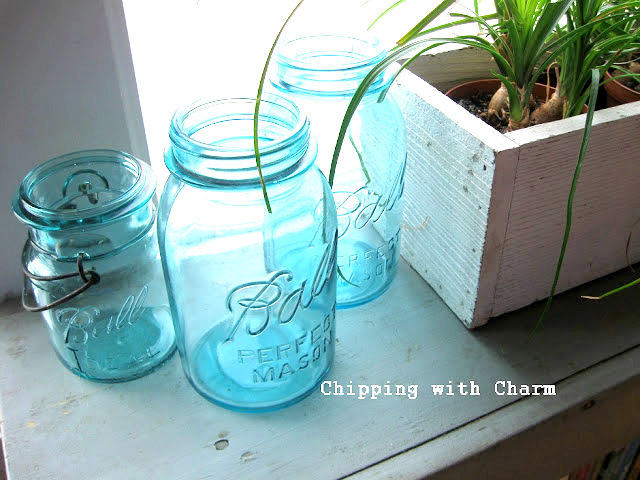 Placing aqua mason jars in front of a sunny window illuminates them for free all day long. It's the perfect punch of vintage colour. Thanks Donna!! LOVE the idea of stacking them up higher! Need more benches...and blue jars :) I scooped up that "jars in the window" look from you "way back when" and have been enjoying it ever since...thanks!